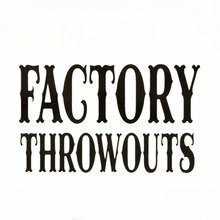 Factory Throwouts No. 59 are seconds to some of the most popular brands from the legendary JC Newman portfolio. Deemed as seconds due to slight discoloration, sunspots, or minor wrapper blemishes, you still get a great everyday smoke for the fraction of the cost of their premium counterparts. 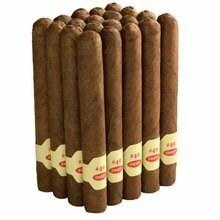 These smooth and mellow tasting cigars use aged Dominican mixed fillers finished with a golden-brown Sumatra wrapper to provide lush flavors of spice, toasted almonds, cedar, and cream. Your bid for boxes of No. 59 at $ per box is confirmed and will be added to your cart if your bid is successful.